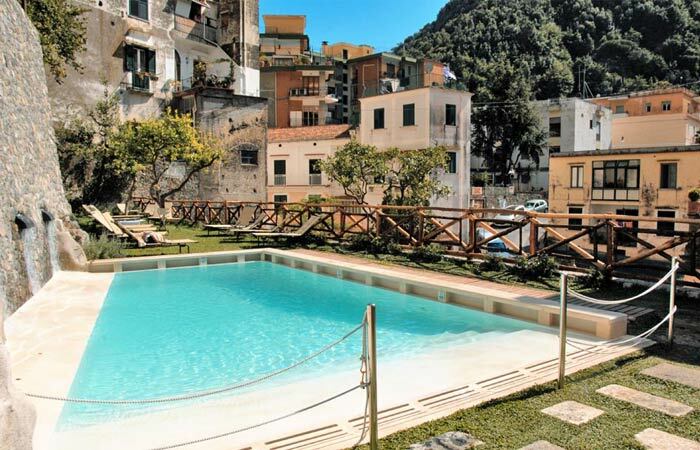 New, fully equipped 2 bedroom self-catering apartment, located in the only complex in the center of Amalfi with a pool. 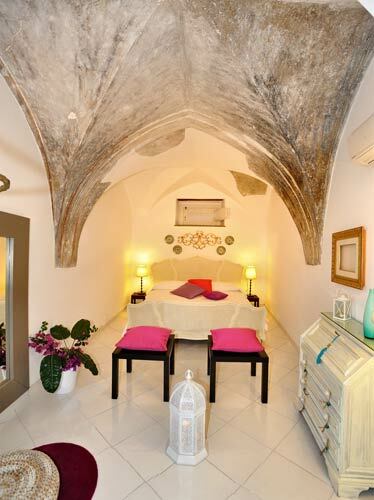 Air-conditioning and internet.. 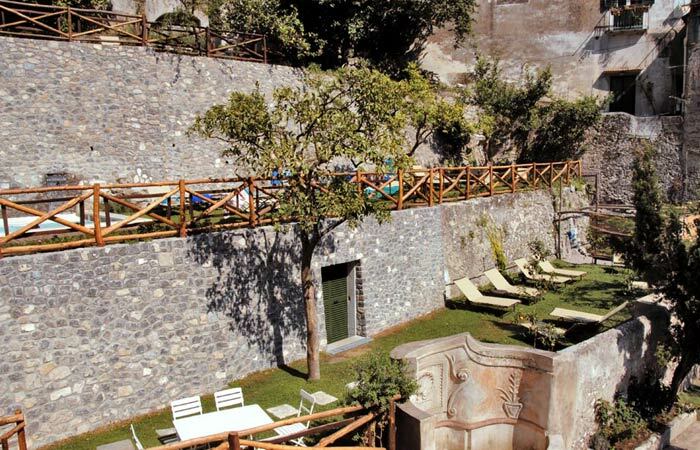 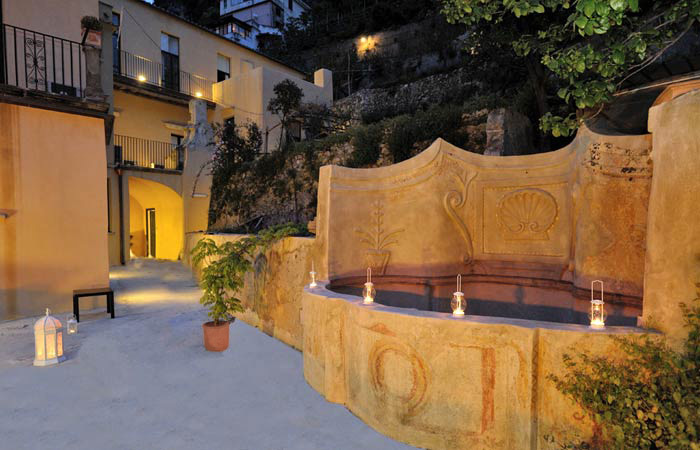 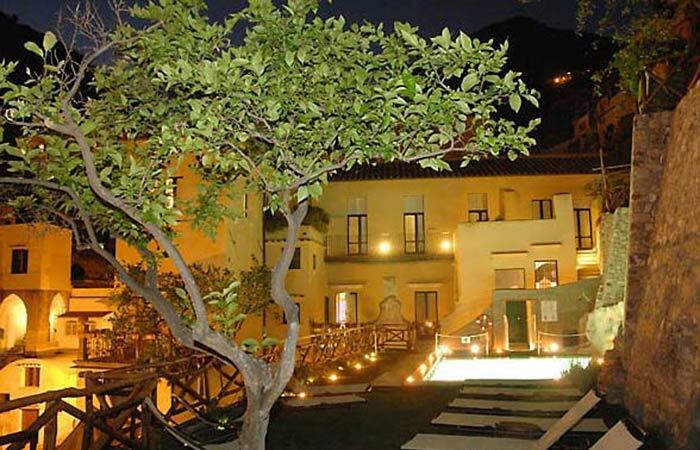 The center of Amalfi's only holiday complex with a pool! 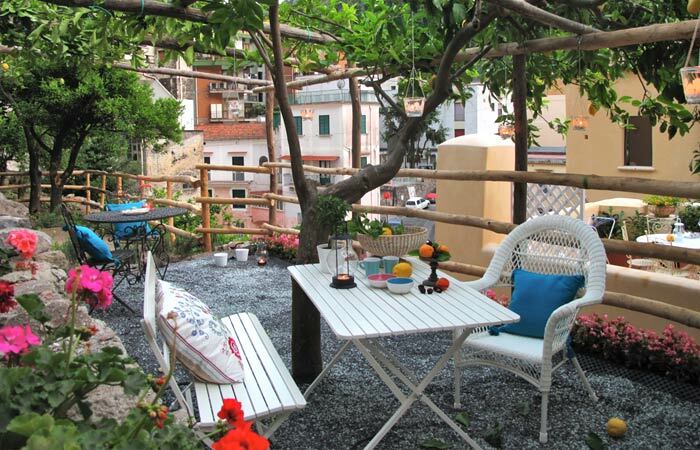 Le Volte is a two bedroom self-catering apartment located on the 1st floor (just 20 steps) of our residence in the center of Amalfi. 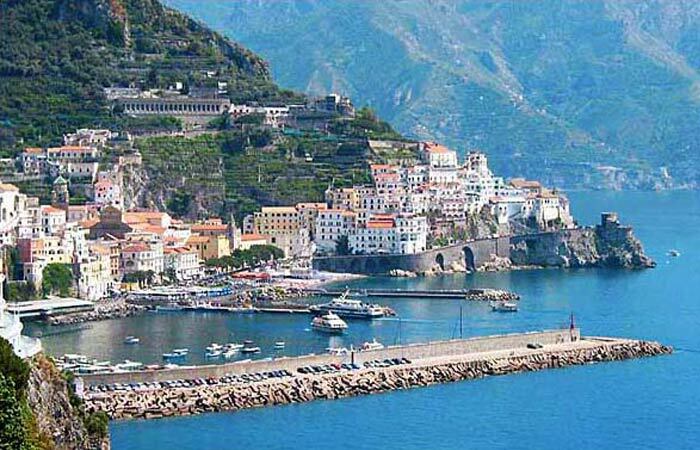 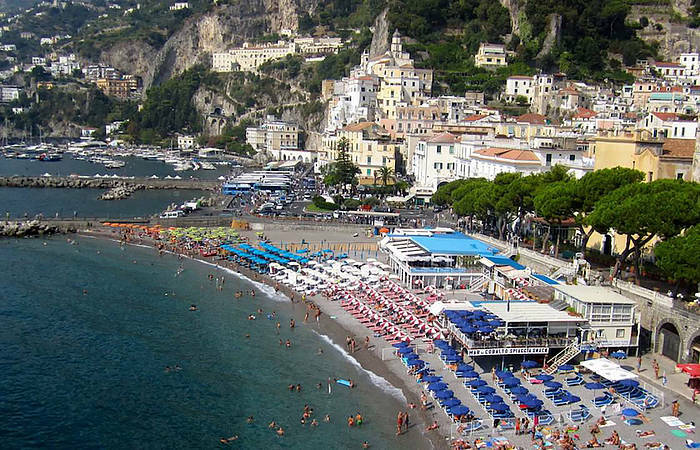 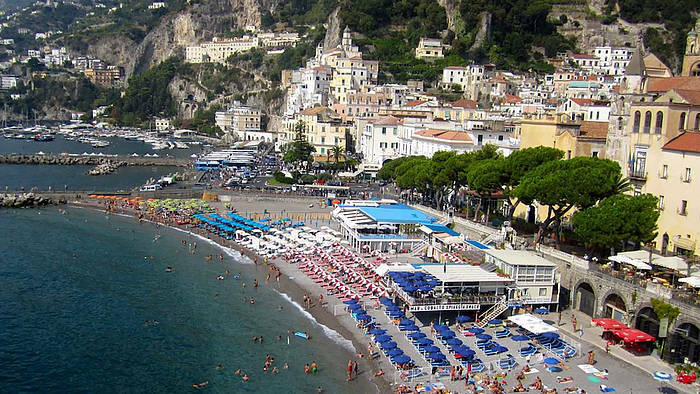 The apartment is an easy walk to Amalfi's cafes, shops, and restaurants; the beach, ferry port, and bus stop are all just a 5 minute walk away. 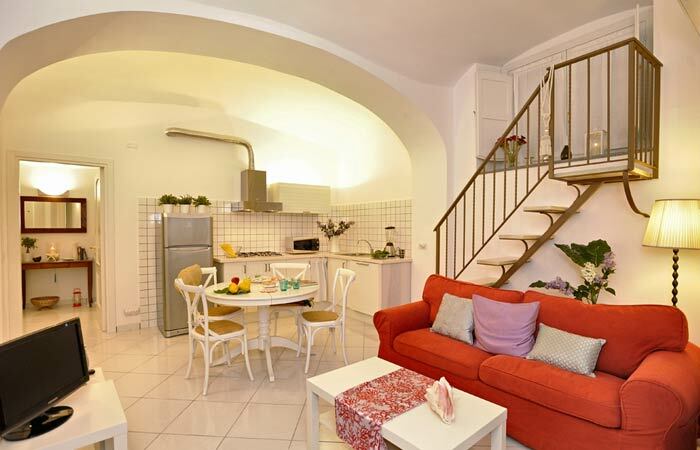 Le Volte has 2 double bedrooms (with the possibility of two twin beds upon request in one bedroom), a living room with a double sofa bed, a kitchen corner, a dining area, and 2 bathrooms with a shower, sink, bidet and toilet. 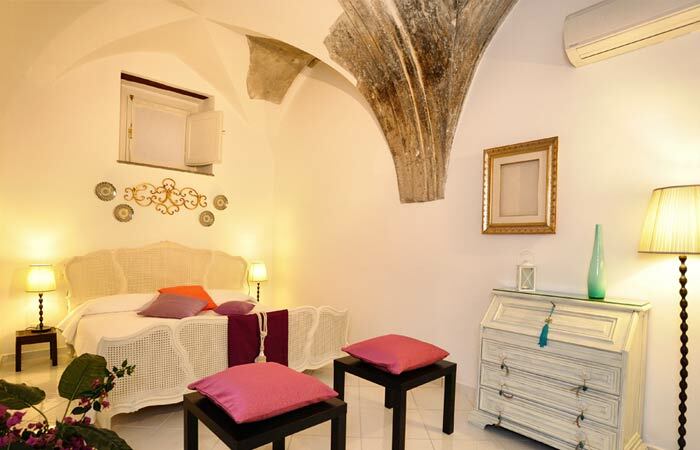 The apartment sleeps up to 6 people. 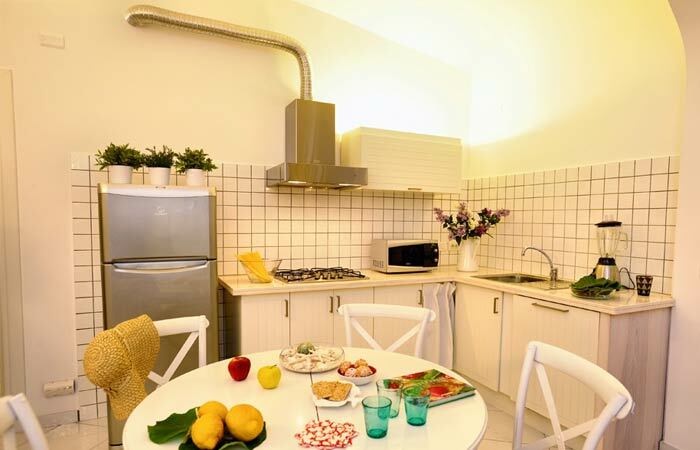 All apartments in the new residence have been furnished to the highest possible standard and are equipped with a flat screen satellite television, air conditioning, high speed internet, and a dishwasher and washing machine. 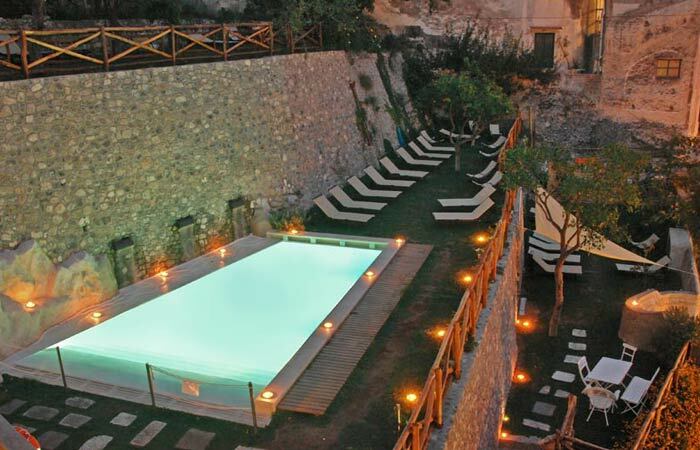 Our new pool, open from the end of March to the beginning of November, depending upon the weather, with sun loungers & towels (heated pool during the low-medium season). 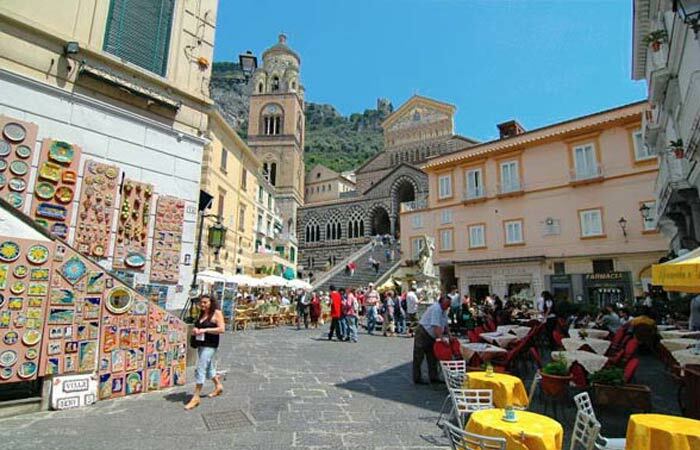 Parking space available for an additional ¤20/day per car - ¤25/day for van/minivan. 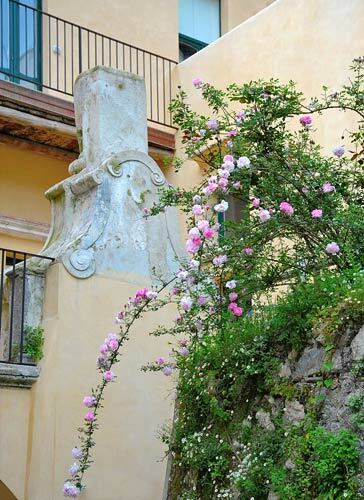 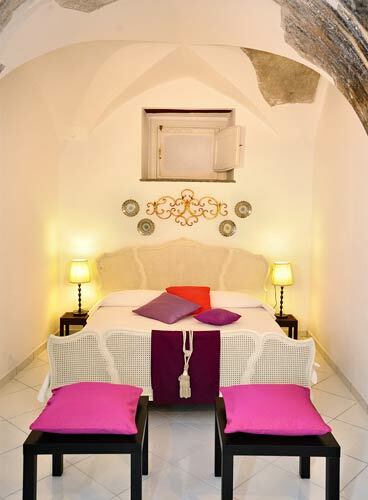 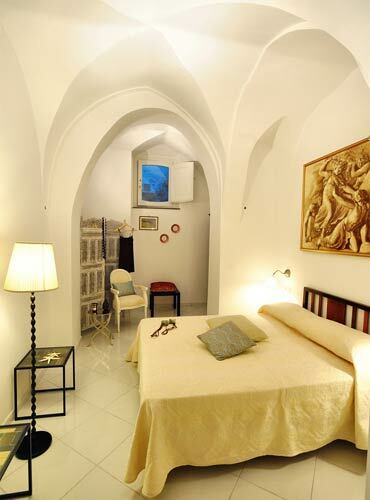 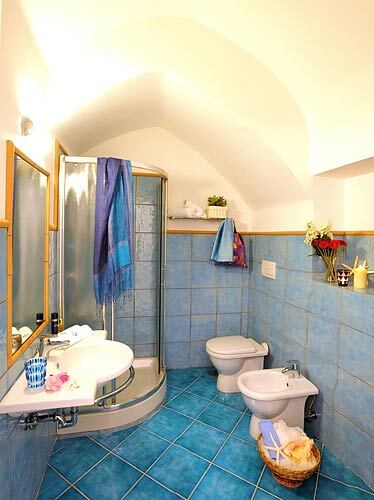 Amalfi Vacation Residence is located in the heart of the historic center of Amalfi, just 5 minutes by foot from the beautiful Piazza Duomo, St. Andrea Cathedral, and beaches. 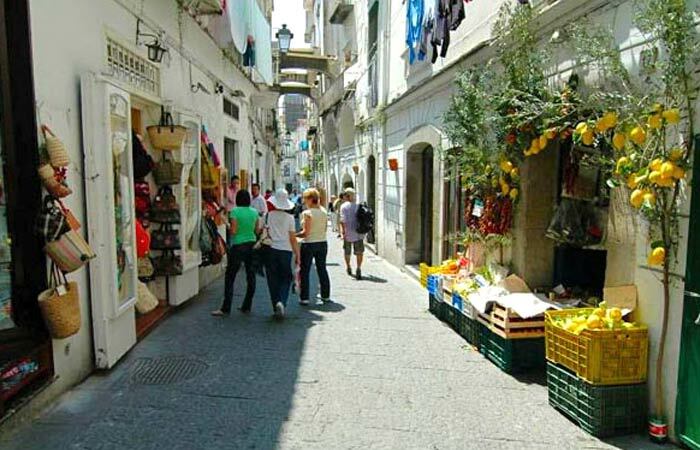 Cafès, restaurants, and grocery stores are all at an easily walkable distance. 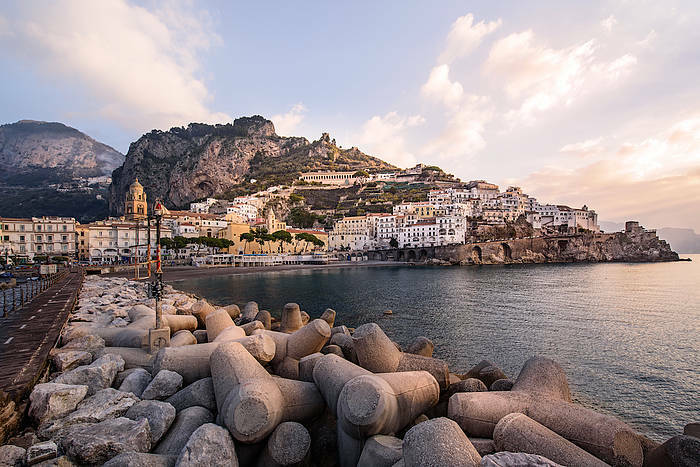 Amalfi is famous for its picturesque lanes, there for you to explore, and tiny boutiques overflowing with traditional products local to this region, including Amalfi's famous after-dinner limoncello liqueur, colourful ceramics, and hand made paper. 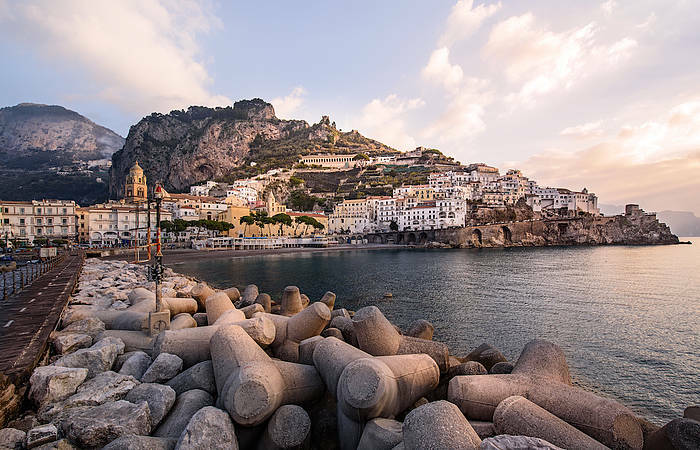 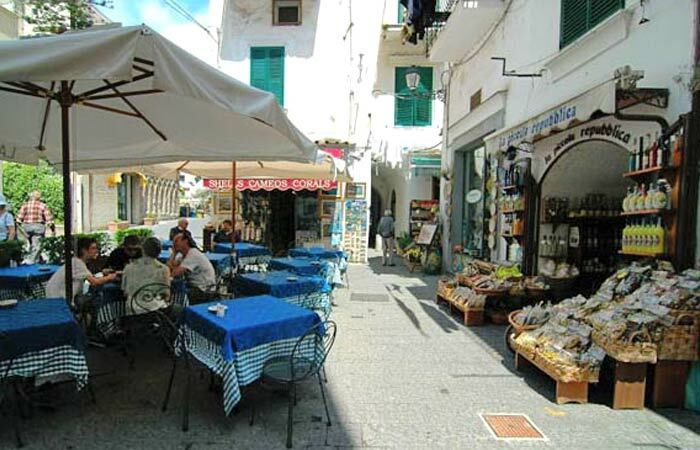 Just a few minutes walk from the residence, the main port area is hub to the area's public transport system (bus, taxi, and ferry/hydrofoil), where you can find transport to the towns lining the Amalfi Coast, the islands of Capri and Ischia, and the more distant cities of Naples, Salerno, Sorrento, Pompeii, and Paestum. 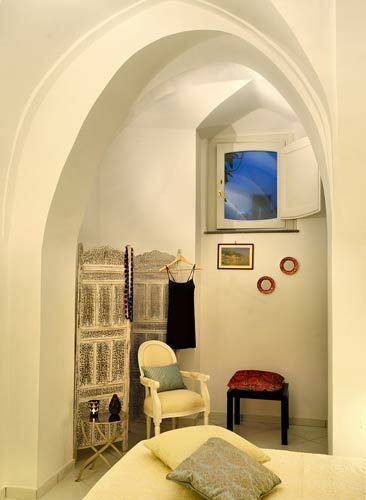 Baby crib available free of charge upon request.